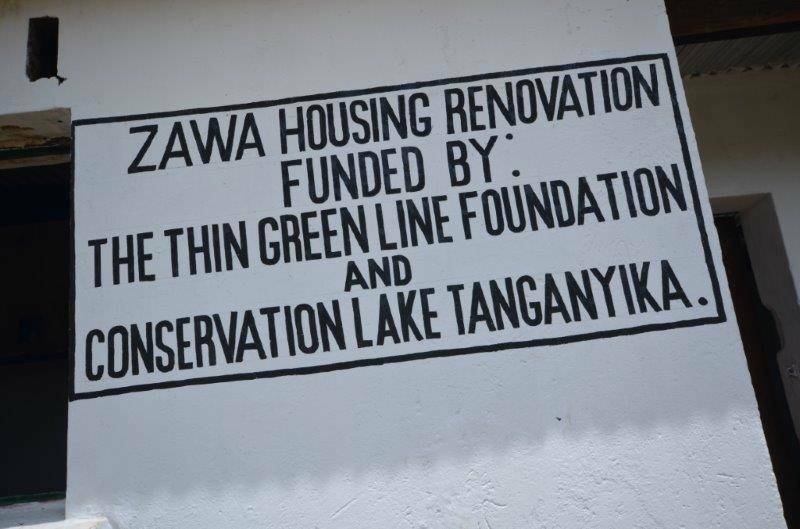 In July 2013 fire destroyed 6 houses belonging to the Zambia Wildlife Authority (ZAWA), including all the belongings of the ZAWA wildlife police officers (WPOs) inhabiting those houses. The major damage sustained was to the roofs and doors of the houses, these being made from wood/asbestos as well as to personal belongings of the WPOs. The resultant lack of housing in the Nsumbu Management Unit has reduced Law Enforcement capabilities and eroded morale of WPOs to continue their conservation efforts. TGLF provided the much needed funding for the rebuild of these houses, boosting the morale and enabling the WPO’s to continue their important work.